Sellers: Show Them You’re Serious with A Verified Account! 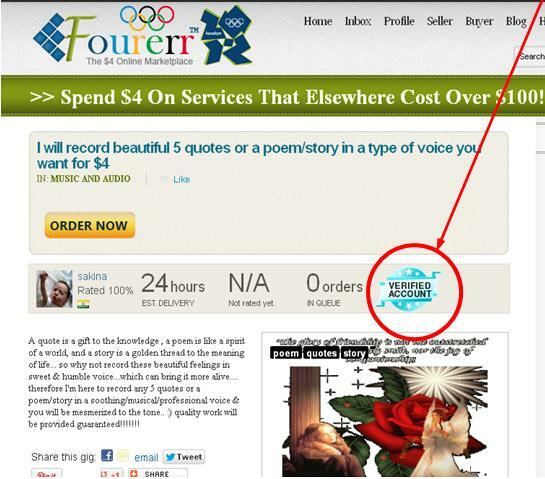 This week Fourerr have launched something very new and exciting for sellers; the Verified Account! Next, you need to upload two verification documents (in jpeg, jpg, or png formats). Passport, driving license, or ID card which should be government issued to ensure validity. Utility bill which shows your name and address (phone, gas, electricity or internet are acceptable). Why Should I Get a Verified Account? “Verified Accounts” are ideal for sellers because they show buyers that you are a genuine seller, demonstrating that you are serious about doing business online. Buyers will want to get gigs from sellers with verified accounts because they appear more trustworthy! 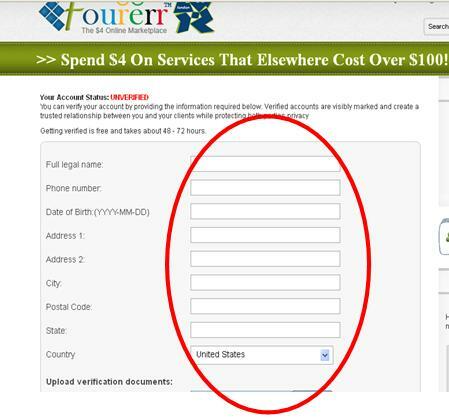 The idea is to build up your credibility on Fourerr and ultimately boost your sales! Sellers, it is recommended to get your account Verified today. Buyers will be able to differentiate between sellers that are serious and sellers tha aren’t serious. What do you think about this new feature? Got any questions about these alterations to Fourerr? Feel free to leave a comment and we’ll get back to you!